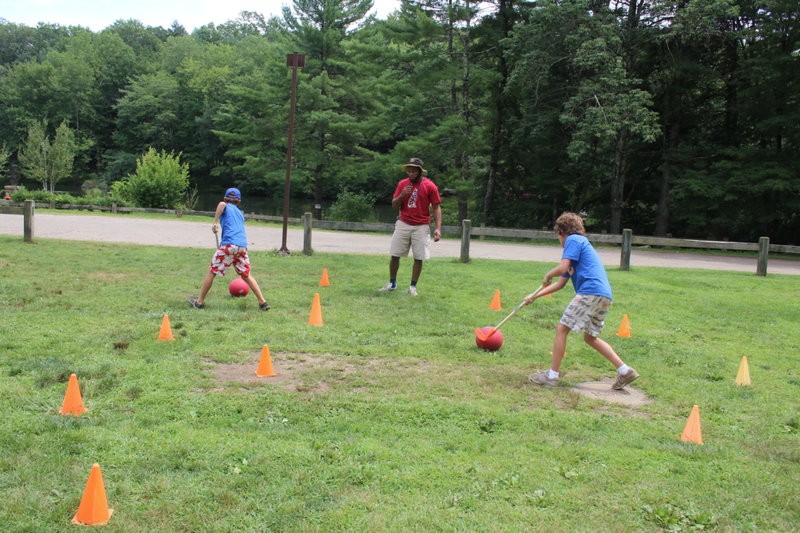 During Coed Week at Camp Seton, Kids DIY Carnival is a Hit! We have a theme every day,” said program director Emma Lunder. The carnival featured eight games and a “paws” tattoo station. There was a dunk tank, cotton candy and popcorn, hoola hoops, mini bowling and even a water gun challenge to move a solo cup along a string. Lunder said that week seven at Camp Seton is adventure week, which is coed. Monday’s theme was Star Wars. Tuesday was carnival. Wednesday’s theme would be Pirates. Thursday would be Water Fun. Grace Bennett said her favorite part of the week to far was playing in the creek and building a dam. Other highlights included the scaling the climbing wall, catching worms and chasing the elusive golden Trout. “It always gets away,” the girls said. Plus, of course, the girls said they had made tons of friends. Bischoff said there had been bee stings, trips and falls, but that over the weeks at Camp Seton she’d been impressed with the survival skills component.